There are unfortunately thousands of people in the UK caught in the grip of alcohol every year. Many enjoy a drink at the weekend or on a night out with friends. It is widely believed alcohol can be safe when taken in moderation. However, it can be a cause for concern if it becomes a common occurrence. So, if you feel alcohol has become the most important thing in your life, then you could be suffering from a condition often referred to as either alcohol abuse or alcohol addiction. Are alcoholism and alcohol abuse the same? Basically, alcohol abuse relates to individuals who have not necessarily developed a dependency on alcohol but do drink heavily when they imbibe. 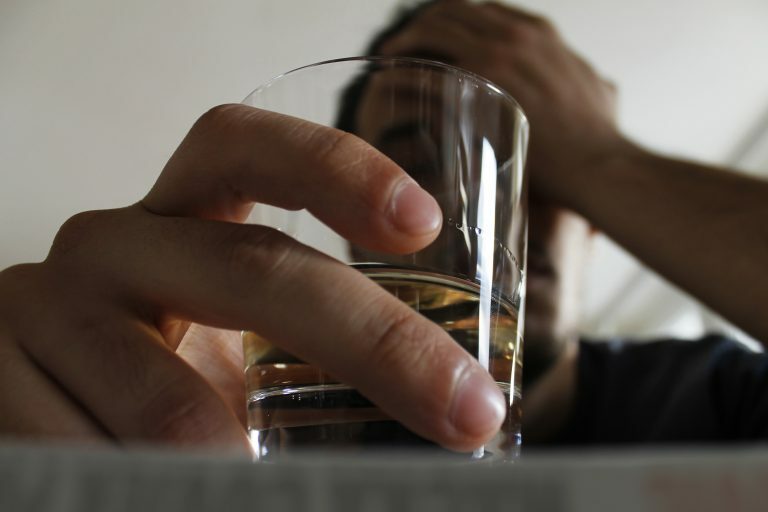 Alcohol addiction, on the other hand, may refer to a person who has indeed build up a dependency to alcohol and feels they cannot live without it. Alcohol abuse is a former psychological classification describing a pattern of behaviour where you continually use alcohol, despite your knowledge of its possible repercussions to your health and well-being. 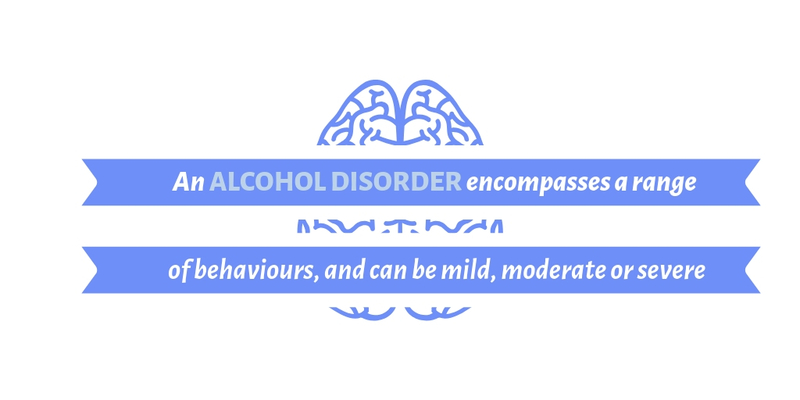 It is now commonly referred to as alcohol use disorder, as well as alcoholism and alcohol dependence. Alcohol addiction relates to a person having a physical, emotional or psychological compulsion to consume alcohol. It is said approximately 9% of men and 3% of women in the UK display signs of alcohol addiction, with both long and short-term consequences. A person does not have to drink to excess every night to have a dependency. The signs of alcohol addiction can present themselves in various ways, some you may not even recognise as being a problem. For instance, you may see nothing wrong with having a drink after a hard day’s work, but it could be the beginning of an ongoing addiction. If you drink for too long, it may come to the point where you feel you are incapable of enjoying yourself without alcohol. It could be a sign you have a physical and psychological dependency, with possible far-reaching effects on your health. It is said you could be abusing alcohol if you drink more than fourteen units a week. Furthermore, if you have more than five drinks on one occasion, it could be considered binge drinking, even if it does not happen all the time. 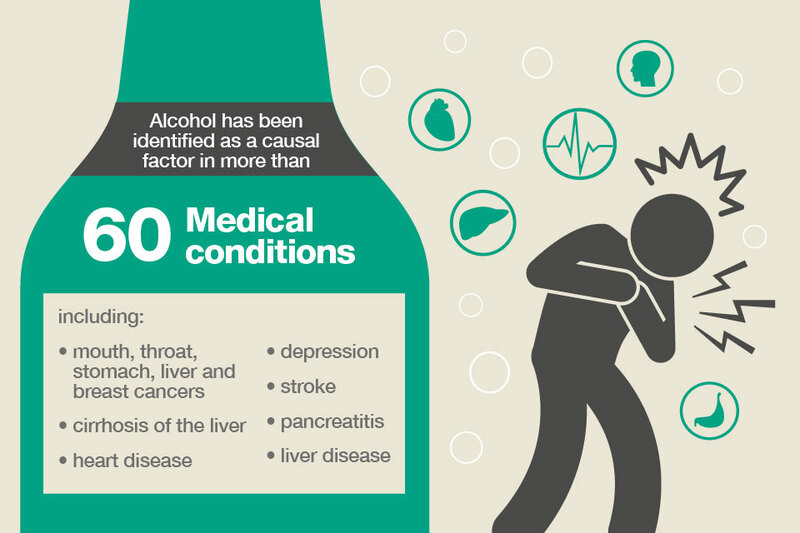 But if you habitually misuse alcohol, it could increase your chances of developing a serious illness. It could lead to a stroke and pancreatitis, as well as mouth, liver or bowel cancer, amongst other conditions. An alcohol problem could alter your sleep pattern and set you off on a vicious cycle, where you cannot sleep because you have been drinking, so you drink to try and get some sleep. Leading you to have a disrupted, restless night, leaving you tired and sapped of energy the next day. If alcohol abuse has escalated to addiction, you may find you need to have a drink becoming all-consuming. It can have a lasting effect on your emotional and psychiatric health as well as impacting on your work and home life. It can moreover lead to emotional and mental health issues such as anxiety, irritability and depression. There are several signs to look out for which suggest you may have a drinking problem. For instance, do you regularly drink in the daytime? Do you consume a great deal at a social gathering, such as a family get-together, party or wedding, where you find it hard to stop drinking once you’ve started? Do you keep drinking until you black out and have no memory of what you did the night before? These are all very common occurrences. People often drink alcohol to escape from life’s problems, to relax, overcome stress or feel better about themselves. But an addiction to alcohol could have a devastating impact on your life. It could cost you your job and cause considerable financial problems. It has seen sufferers lose their homes and has led to cases of divorce and even domestic abuse, which can all be attributed to dependency. If you drink too much and for too long you can develop a greater tolerance to alcohol, making it harder and taking more time to get drunk. This can increase your physical dependency on alcohol, where you may find it difficult to enjoy yourself without a drink, which can have an adverse effect on your health. If you have built up a dependency on alcohol, you may experience the symptoms of withdrawal if you suddenly stop drinking. These include physical indicators such as hand tremors, otherwise known as the shakes, sweating and in certain cases fits or seizures. It is also not unheard of to suffer visual hallucinations, where you see things that aren’t there. If you are ready to say goodbye to alcohol addiction, then you can undergo rehabilitation treatment. It generally consists of a comprehensive alcohol rehab detox, carried out at an excellently staffed residential clinic. It is the first stage of the rehabilitation programme, having discussed your medical history and relationship with alcohol, as well as your physical and psychological well-being. You will also have been given a blood test before proceeding with the detox, where you can cleanse your body of alcohol and toxins. You will be supervised by highly trained counsellors, doctors and medical staff who will oversee every aspect of the process. They will monitor your diet and fluid intake and advise you of what vitamins to take, as well as prescribing any medications you need to deal with the physical symptoms of withdrawal. Alcohol detox can be just the beginning of a long-term rehabilitation programme where you could talk with a counsellor to get to the root of your addiction. Does it stem from your upbringing or a trauma in your past? Do you have work or relationship issues or have suffered a loss or bereavement? These could be just a few of the triggers which could lead you to start drinking. You can discuss your problems on a one to one basis with a counsellor or as part of group therapy, which can play a vital role in rehab. When you have completed your detox, you can benefit from an aftercare and therapeutic recovery program to continue your recovery and avoid relapse. If you have seen your life unravel due to alcohol abuse and addiction, there are steps you can take to put dependency behind you by choosing a rehabilitation treatment program.